We often think of training as solely a learning endeavor, but educational events can also serve as opportunities to build new relationships. Whether delivered online or in the classroom, learning experiences–when designed with an eye on socialization–bring people together in ways that typical networking or social events cannot. Learners and instructors have a shared frame of reference (the course content) and engage in friendly discussion, discourse, and collaborative learning around the course goals to naturally forge connections and bonds that can “live” beyond the classroom and blossom into lifelong friendship or working relationships. I have known many instances of classmates forming strong friendships, becoming colleagues, or working together on committees or projects long after class has ended. As we design both online and face-to-face delivery, our key concern must be learning and transfer but don’t forget about the incidental benefits that come from relationship-building. Consider ways to facilitate opportunities for friendship and professional networking within your course. Begin with icebreakers that help learners to indirectly disclose information about themselves and identify common frames of reference (see this example). Also, as an instructor, participate in the icebreaker so students can get to know you. When assigning groups, always begin with a second icebreaker or low-stress activity to create a sense of camaraderie before getting down to real work. Encourage groups to create and follow ground rules to prevent unnecessary conflict. Give learners a social assignment during breaks to encourage connection beyond the classroom (see this example). Create opportunities for collaborative problem-solving around course topics. End the course with a formal exercise that encourages learners to say thank you and recognize the contribution others have made to their learning experience (here are a few examples). Have you formed strong social or professional bonds with classmates? What brought this about? Can you share a training activity or experience that has the added benefit of social networking? I have formed strong professional bonds with peers through lunch-n-learns, which was very welcome albeit a bit unexpected. Prior to reading Professor Iverson’s post, Friendship: An Unexpected Benefit of Training, I reflected on my previous goals of creating friendships and/or professional relationships with fellow classmates. Although I have friendships with individuals I attended school with prior to my graduate program, I chose to read these posts in the eyes of a graduate student. With every course that I take, I create a small plan to connect with other students within the course. However, I find that after the introduction, this desire slowly dwindles to a mere thought. As the course progresses, the desire disappears. Honestly, I believe this is mainly because I feel that I have missed the window of opportunity to connect with my course mates. Once the introductory stage has passed, I don’t feel that anyone would have much interest. I also believe it is a bit more difficult to create certain connections outside of a course when it is facilitated online. I’ve attempted to create professional connections with others in my online courses. Sometimes I receive a response, and sometime I don’t. There are instances where there are additional conversations and a connection is created. These connections tend to fade out over time. However, I still appreciate the conversations as they usually provide me with great insight. I have not forms any social or professional bonds with classmates. However, I have formed professional bonds with colleagues. This was create due to a few drastic changes that occurred within our department. Prior to these changes, we were developing a budding professional and somewhat personal relationship. This reorganization of our department brought us closer as we needed to depend on each other even more than we did previously. Last summer, I attend a conference in Seattle with my supervisor. I was a bit nervous to attend this event with him because we didn’t communicate much outside of the office. During the conference, we would meet to discuss the different things we learned in our individual training workshops. We also discussed a potential department and individual professional goals. this trip brought us closer and we were able to connect as colleagues. Since that conference, we’ve continued to develop a stronger professional relationship. This is really great, because he has over 10 years in our field and has a lot of knowledge to share. I feel comfortable expressing my career goals and personal ones as well. I am also confident that he has my best interest at heart as a young professional. In past educational experiences, I have formed strong bonds with my classmates, both inside and outside of the classroom. I haven’t quite gotten there yet in my time in the MATD program because I’m finding it hard to do so in a 100% online environment, but I hope to. I have noticed, now that I’m in my third semester, that I’m remembering students from previous classes and have found people who I have created a good rapport with online. I’d like to eventually extend these relationships to LinkedIn and outside the Blackboard forum! In previous learning programs, shared experiences brought me together with other students. Whether it was connecting with someone from Chicago at a national event or finding a shared interest with someone in the classroom, I find using the ice breaker portion of learning situations to be incredibly valuable for building relationships. My firm has a 6 month long training program for high performing associates who meet specific criteria, and, in addition to substantive and soft-skills training, the program is also intended to build or enhance relationships between the participants as they head toward partnership, as well as between the participants and their assigned program mentors. In addition to classroom/webinar activities, the program includes multiple formal social events connected to it, usually following a learning event – such as a dinner or happy hour following a day of courses. These social events serve a dual purpose: they help the attorneys unwind and celebrate their learning, but they also give the opportunity to strengthen the bonds that are being built. It’s really fulfilling to witness these relationships grow through the program! -Yes. I have close friends of 20+ years who were classmates in undergrad. We bonded while student teaching and participating in educational camps and retreats. Sharing the same dreams and love for children and teaching gave us something amazing in common and a foundation to build and maintain that connection. -We do off site team building activities once per quarter. Once we did a boot camp that focused on communication and teamwork. We solved puzzles and completed scavenger hunts first with our own teammates and then with folks from other teams. We were able to meet new people, network, and build essential skills all at the same time. I was able to build a ton of lasting friendships in undergrad through group projects and networking I was doing a lot of special events and social networking classes so I was sort of forced to branch out and interact with students around me and the projects were more frequent so seeing each other a lot allowed you to get to know someone better even if it was unintentional.I do find it a bit hard to do at the graduate level. It seems that with ice breakers we’re so used to doing them that they are informative or we don’t care as much. I think that volunteering and training retreats or conventions really give you the maximum benefit of networking. You’re meeting people from all over and really get a chance to see others perspectives and branch off of other peoples ideas. These specific activities usually last at least 2 days or more so you’re likely to find a buddy to hold on to! While in undergrad, some bonds were built from group participation and they are still intact. Yet social networking while in grad school is a bit more challenging with more responsibilities (things to tend to) rather than in undergrad. Inclusion of interactive activities can most definitely get the group members more engaged and connected. Some people may not consider a group assignment as an opportunity to network, yet the group members may be able to unexpectedly build on interpersonal skills and social networking which can be quite beneficial once out in the working field. I definitely feel that I formed strong bonds both social and professional in my undergrad program, but have found this to be more difficult while working towards my masters. During my undergrad I had to work on various group projects that caused you to get to know those at least in your group. One class in particular, we were having to turn in group projects every 2 weeks, so our group would have to meet often. When our group was formed we did go though ice breakers to learn a little about each person, we were told to give a few details about our selves and we ended up discovering that quite a few of us had things in common. That helped to build a foundation for our group, the teacher also had us sit in our groups in class so you really just got to know your group. I feel like achieving this in an online setting is a lot more difficult. Most people connect by also looking at body language, it is how we gauge whether someone interested in what we are talking about or not. I think volunteering is one of the best ways to enhance and expand your social networking. I sit on an associate board of an organization and the leadership council of another where we offer trainings to businesses across Chicago on diversity and inclusion practices. I have thoroughly enjoyed meeting new people and making connections through these experiences. Friendship: An Unexpected Benefit of training – I really enjoyed the great ideas and ideas and thought of this training. Being able to learn how to network with others always tends to be a plus, as well as a benefit of meeting other professional and peers across the broad. Ideas become more for one to be able to explore in and identify how to see new and experience information. I learned the importance of having ice breakers in an online setting just as a face to face environment. Ice breakers help to know something about each member of a group and of course it has the advantage of building friendship and networking. I have learned that ice breakers besides creating a trustful atmosphere; it prepares our brain to receive new information. A few years ago, I took a class that my company at that time offered on presentation skills. At the beginning of the class, we were tasked with 2 activities. The first activity was sharing 5 things about ourselves including our name, position/department, where we were from, comfort level with public speaking, and an interesting fact about ourselves. It was a great way to identify intriguing things about our colleagues and to find a point of contact for other departments when you need a resource in that area. The second activity we were tasked to do included developing and delivering a 5 minute speech on a topic that we were comfortable with or passionate about. This activity not only further expounded on us getting to know each other but it also was an opportunity for us to influence one another. For instance, the topic that I chose to speak on was about my experience with healthy relationships and how to build them. I had no idea how helpful the information was until I got feedback the next day from a colleague expressing that she ended up sharing the information with her daughter who needed advice on how to handle a dilemma with her friend. Yes, I do feel that I formed some professional and social bonds with classmates throughout my graduate program. Although we might be from different backgrounds or places that classmate experienced similar frustrations and joys throughout the course just as I have experienced and I feel this is what formulates the bond with classmates. It is how we learn from each other and grow through our professional careers and social networking that cultivates who we are as people. It takes to time build anything and only through time can we ultimately see where life takes us with the people we have journeyed with along the way. I have formed some friendships while attending training (I even have a training buddy that I try to coordinate with). The key was face to face interaction. I haven’t developed any friendships on the internet format. I think it is much easier for someone raised in the generation of social media to develop a real friendship on this format. I have experienced friendships that have grown from taking courses together throughout my college career. Having someone who has been through the same experiences and shares the same goals makes for a strong foundation for a friendship. While not a friend, I have utilized the relationships built with educators through Linkedin and have reached out for advice or referrals. This has been reciprocal and I have been contacted by former professors as well. Friendship: An unexpected benefit of training this was a great blog being able to engage in much professional training. 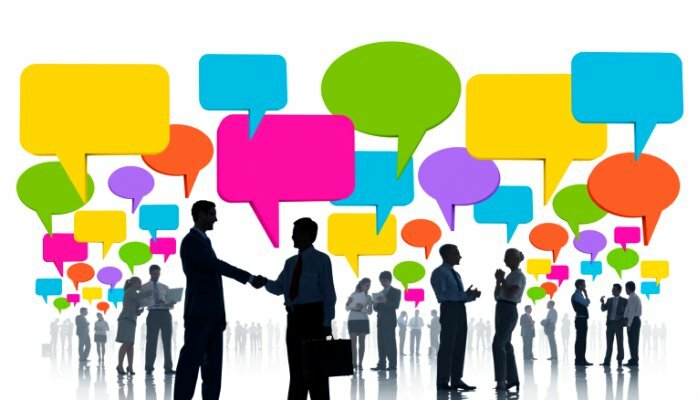 always keep networking flowing as well as getting to know different colleagues and their professional sides. answering of the blog, I have formed professional bonds, with classmates that I currently came across within my online classes. what brought about this is me having to interact form groups with exchanging information and learn different things from them. I think it’s a great idea to network and build new friendships as well as collaborate amongst one another to problem solve. It’s a unique opportunity to be able to add new friendship. I think that these article focuses on the concept of “brain breaks” which truly do help adult learners focus better on an activity. Especially noting that adults brain span of memory is about every 2 minutes and we need to remove the clutter by recharging for a moment. Also as noted, learners work better from a sense of motivation and learning in chunks of information is a good way to do that in group activities. I have yet to form any strong bonds with classmates in my graduate program yet partly because I haven’t been in the program all that long but also because the all online format makes this difficult. I much prefer face-to-face interaction. Still, I have begun networking and reaching out with a few classmates and hope to have this continue after I have finished my program. I used to do an abundance of trainings activities for companies and organizations around Chicago as part of their Diversity & Inclusion initiatives. Some were lecture based and offered information on minority groups with particular focus on the LGBTQ community. I was never a fan of nor did I excel at creating engaging group activities. This is a skill I certainly need to work towards developing further. In the past I have definitely formed strong social and professional bonds with classmates. Actually, those bonds have a tendency to last longer because of the commonality of values towards academic excellence and career growth. In those instances, the friendship formed through having repeated classes together. As much as I dread icebreakers, I secretly love them, because I am usually able to create a personal connection with at least one person that resulted from an icebreaker during a training activity. This is my preferred method of creating initial opportunities for social networking in settings where people are not personally or professionally acquainted with one another. I recently went on a trip for business to learn about the Freedom of Information Act for my job and met some amazing people who are passionate about what they do and teaching. The patients and friendliness that they showed helped to create a sense of social and professional camaraderie, that I rarely see, in a few days. The clear goal of the class and everyone working together to pass the class and get the certificate helped to form these social and professional bonds that will last a lifetime. Yes, I have found myself forming both professional bonds and social with my classmates. because The relationship that you build with the forming and being in groups you are getting to know other people professional background which leads you into the professional role with responding to them as well as about yourself and how you may have interacted with current issues and being able to give them feedback on how to handle it. although on the other hand at times many of us have formed some of the social skills with opening up just who we are and what we do this is being socialization with other chatting back and forward join more groups and relating to many dislikes or like of things and being able to give out feedback of opinions. Although we do not interact in person, I feel I have made some strong bonds with my classmates. It helps that our end goal of graduating with our degrees are the same. This shared goal has allowed me to open up, and them open up to me, as we navigate through each course. I now find myself scanning the names as each class begins, just to see if any of my former classmates will be in this next class. I feel every class taken together just strengthens that bond, and allows me to learn not only what is taught in class, but from their life experiences. Have you formed strong social or professional bonds with classmates? What brought this about? Yes, I’ve had the experience a few times in my career and education. In one of the earlier examples, there was a lot of opportunity to share expertise and learn from one another’s strengths in the classroom environment. Can you share a training activity or experience that has the added benefit of social networking? While reporting to one leader in particular, he made team building a regular event. We’d get together as a team, complete workshop activities based on a particular subject like Emotional Intelligence, and then spend time outside of the office debriefing the concepts. It was always progressive for development and relationships amongst the teams. Yes, I have. We have so much in common from a job standpoint and the ideas we share that make us connect and we can learn more from the situations on the job and how we handle them. Managers Team Building. We had managers come from different offices and share their experiences that made them successful. I found out some of the things that they were doing would work well in my office that I had to connect with them and learn more about their process to duplicate it and build on it.